Today 15th Sep. 2015, around 00:30 midnight, a SyAAF Mi-8/17 -serial is still unknown- operating from Al-Neyrab AB (Aleppo IAP) and piloted by Col. Manhal Yunes "العقيد الطيار منهل يونس" and Ali Othman "الطيار علي عثمان" was shot down over Al-Neyrab town nearby the airfield resulting in the death of the crew. The Hip which took off on its way to the besieged Kweres AB was targeted twice by MANPAD fired by Al-Jabha Al-Shamiyah "الجبهة الشامية" personnel when maneuvering low over Sheikh Lutfi area. 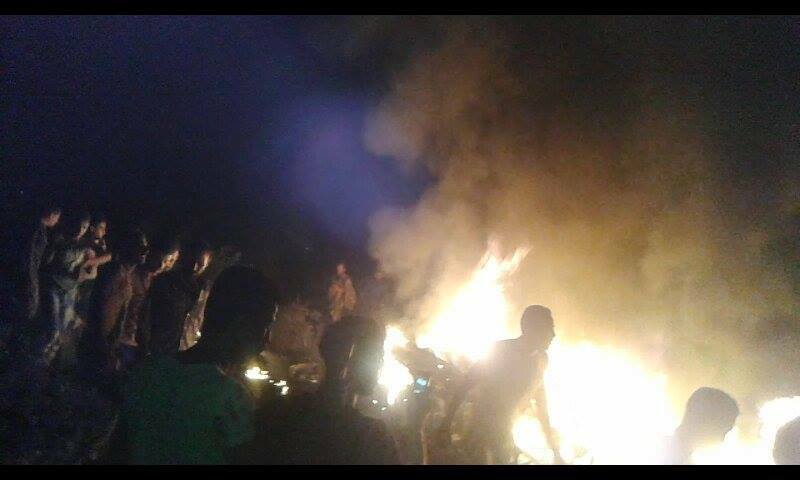 The first missile lost the target while the second successfully hit the helicopter which crashed over an urban area. 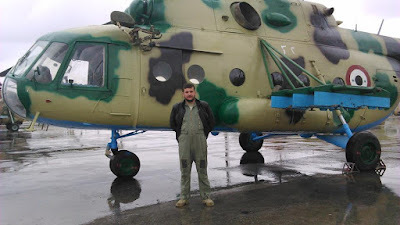 Any particular place on the internet where I could find pictures like that above of Mi-8/17s or Mi-24s and their pilots? Any pro-Regime pages you could link me that would upload that? Actually I didn't find till now a single source covers everything about shooting down an aircraft neither pro-regime nor opposition's. There are some pages -not stable in terms of activity- concerns the martyrs of Syrian Army. Sometimes they come to publish portraits of the pilots, but for those with his aircraft beside/behind I noticed that most probably been published by the pilot's friends. My conclusion: you have to collect info from different sources. Take a look. Found this a couple weeks ago, had it in my stash. Just realized that it seems to be the same one as was shot down. Many thanks Vlad! but the one in the photo you attached is a Mi-8, while the one mentioned in the post is a Mi-17. Remember that the photo in my post is not necessarily the Mi-17 shot down. Among tens of photos for Neyrab AB (Aleppo IAP), I noticed that 95% of helicopters operating from there are Mi-8. I quite literally noticed that immediately after I posted it. Oh well. Thank you for your response, I am about to respond to your email. CONFIDENTIAL: Gaddafi's Floggers in Syria!